More than an elegant handmade bracelet- it’s a solution. I reached into my jewelry box for the umpteenth time searching for a bracelet. Why couldn’t I find a bracelet that was the perfect balance of fresh and modern style? The faceted rondelle glass beads in aqua blue, green and gray sparkle your wrist. 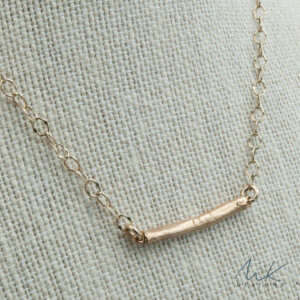 Made by hand, the bronze ball has natural texture and provides a casual and polished look to the bracelet. Each ball is unique as the firing process creates the textured look to the bronze ball. Bronze Glass Bead Bracelet fits up to a 7 1/2 wrist. If you need a larger size, please email me at info@mollykidd.com. Once a friend showed me the world of metal clay, I was hooked! Metal clay can be shaped like any other clay. It consists of very small particles of metal such as silver or bronze. Originating in Japan in 1990, metal clay is hand shaped or used in molds. After drying, the clay is usually fired in a kiln, depending on the type of clay and the metal in it. The binder burns away, leaving the pure sintered metal. Shrinkage of between 8% and 30% occurs depending on the metal. Bronze metal textures when fired in a kiln. Did you know that every piece in my studio is created by hand? I hand form each bracelet, with careful attention to selecting the best stones and finishes. I focus on selecting the most interesting colors, and balancing them with precious metals and fun finishes to make timeless designs that are curated just for you. 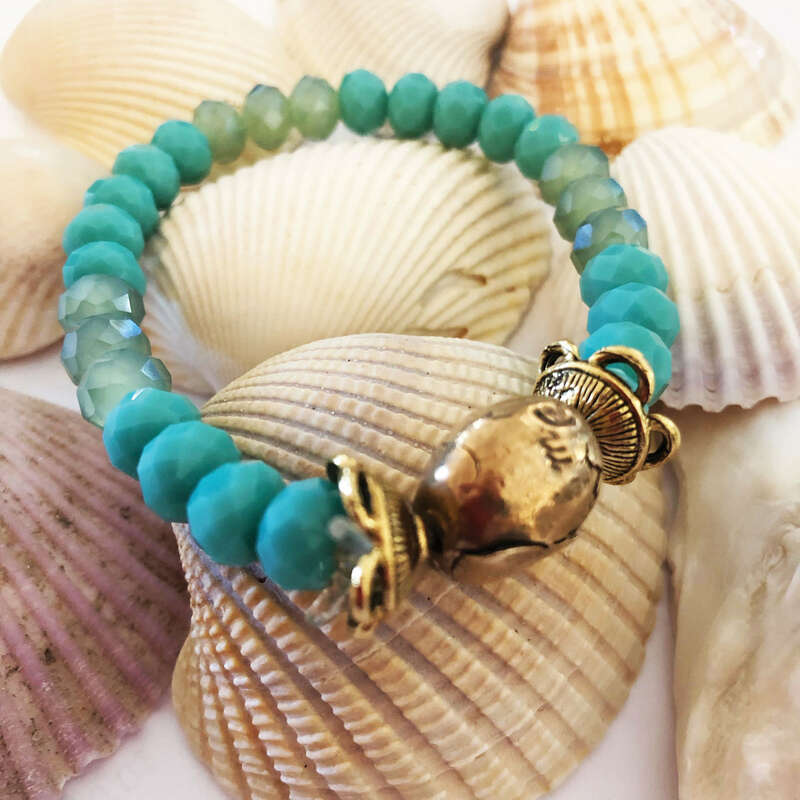 You’ll love our bronze glass bead bracelet! 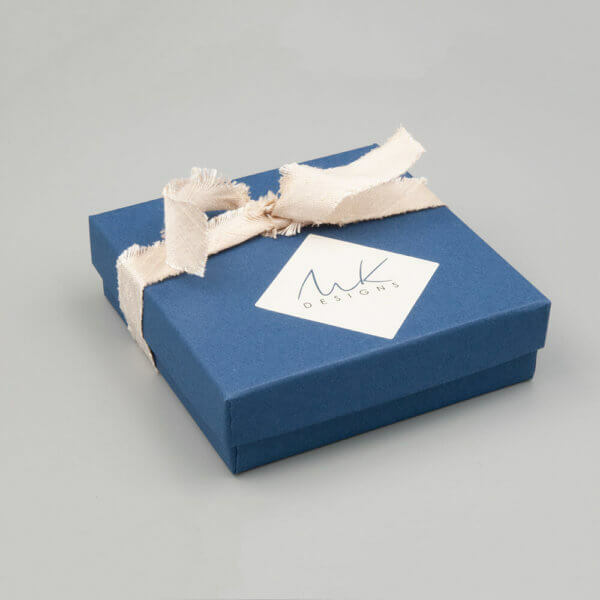 We package each bracelet carefully in our gorgeous signature Navy boxes- because who doesn’t love opening a pretty package? Plus we always send your package fully insured and trackable- so that we you and I both know where your pretty jewelry is at all times! 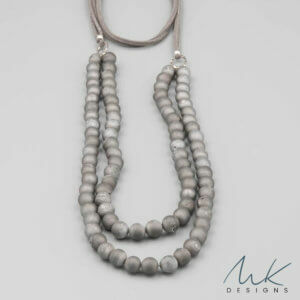 MK Designs stands behind all of our pieces- we love our Customers and want you to be happy! 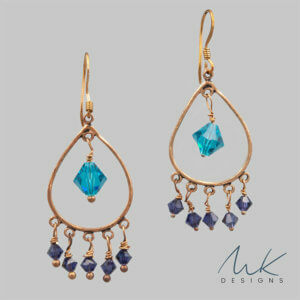 Introducing the NEW MK Designs!